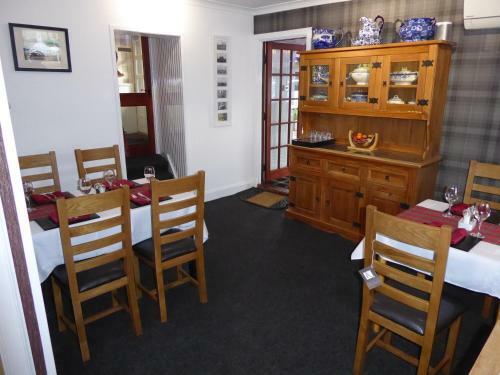 Located in Brae, Drumquin Guest House features a garden, shared lounge and bar. Offering a restaurant, the property also boasts on-site dining. Rooms include a patio. The units is fitted with a flat-screen TV with satellite channels, a kettle, a shower, free toiletries and a wardrobe. Featuring a private bathroom with a hairdryer, rooms at the guest house also feature free WiFi, while selected rooms here will provide you with a garden view. All units will provide guests with a fridge. 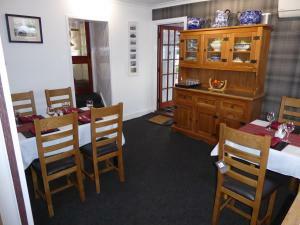 A full english/irish breakfast is available each morning at Drumquin Guest House. Lerwick is 28 km from the accommodation. Sumburgh Airport is 71 km away. You may cancel free of charge until 30 days before arrival. You will be charged the total price if you cancel in the 30 days before arrival. If you don’t show up you will be charged the total price.